For public facing businesses, or any corporation that wants to make a lasting visual impact, color branding is a great way to draw attention to your business and keep your brand memorable. 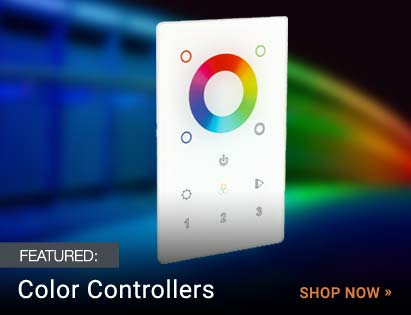 Using multicolor RGB lighting systems, it is possible to have lights that output specific colors that match your corporate branding scheme. This ability to extending your branding beyond just your business card and onto your actual built environment can have a lasting impression. 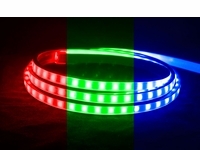 What is RGB LED Lighting? 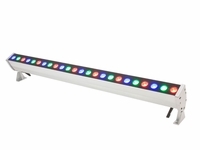 RGB lighting – short for Red, Green and Blue lighting – is a type of LED lighting system that uses combinations of these three different colors and mixes them together by shining them at different intensities to create nearly any color.. In the early days of lighting, this could only be done by using a pre-colored bulb or sliding a gel over the lens of a white bulb. 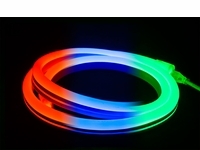 But modern RGB LEDs contain individual red, green, and blue diodes that, with the proper controls and mixers, can be used to create more than 16 million different colors of light. Admittedly, the RGB gamut triangle can be limited in terms of color complexity and subtlety. And certain shades such as pink, amber, and pastels are difficult to reproduce with only red, green, and blue lights. But there is a solution to this. 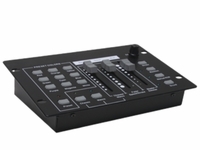 An RGB+W system introduces a white (W) light into the mix that can be turned on when you want a lighter or less saturated color (or used by itself when you just need white light). 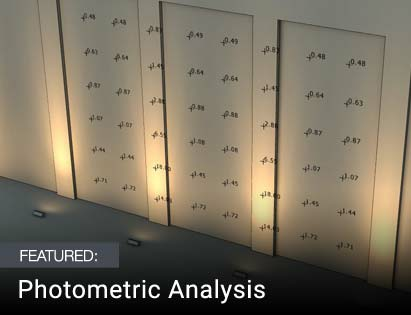 With the additional of a white LED, an RGBW system exhibits a much wider color gamut range and can reproduce billions of rich, vibrant colors. So no matter what Pantone colors are selected for your company logo or corporate branding schemes, they can now be reproduced with energy efficient LED lighting. What Can RGB Do For Your Business' Branding? Colored branded lighting can be a highly effective tool for a business, especially one with frequent visitors or one that puts on events in public places. 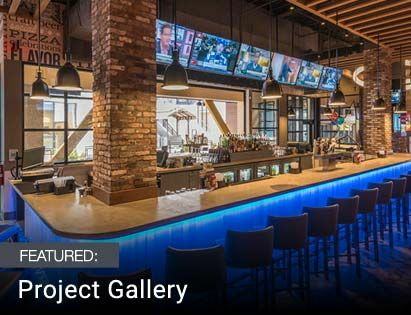 An RGB LED system can be tuned for a display to match your corporate colors, which is great for projecting your brand and improving awareness. And if you host events or shows, you can use RGB lighting to match your clients corporate colors, with the ability to easily change it for different clients. People are much more likely to remember your identity the way you want them to when they associate a prominent visual cue such as lighting. And unlike old-fashioned colored bulbs or gel filters, LED colored lights do not fade or degrade over time. Add in life spans that can reach 50,000 hours or more, and you can count on long-lasting true color for your brand identity. RGB lighting is most effective when used as part of the business-to-consumer or business-to-client relationship. Lighting up the interior or exterior of your office building with corporate colors will set a unique first impression with visitors and passersby, while helping your business stick out. Use LED strip lights or neon lighting to create accent lighting in your company colors or highlight corporate signs that draw attention to your storefront. And if you own a building that is viewed prominently from a street, use RGB LED wall washers to bath the exterior in your chosen colors, projecting your brand for the world to see! Contact us today and let us assemble a custom quote for color-changing RGB and RGBW lighting fixtures for your project.